If you missed my introduction, let me reiterate by saying that these posts are an adaptation of a research paper I did in my freshman year of college. It was a film writing course that focused on the concept of nostalgia, and I’ve since made many changes to the text. First in this series of specific film analyses is perhaps my favorite Studio Ghibli work: Whisper of the Heart. 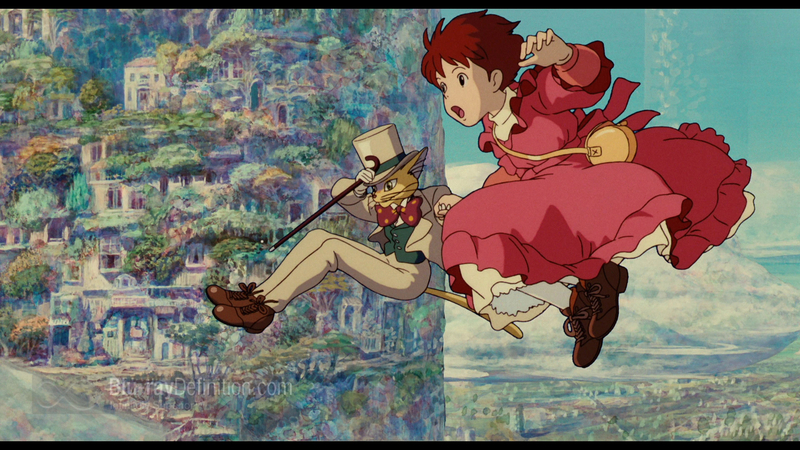 Although many of Miyazaki’s works are set in fantasy worlds with flying airships and anthropomorphic creatures, there are cases where the settings have been a bit more realistic. One of these films is Whisper of the Heart (Kondo, 1995), for which Miyazaki wrote the screenplay for. The film, animated like Miyazaki’s other works, is set in a modern Japanese town and centers around a young girl named Shizuku who struggles to find her calling in life. For a large duration of the film, she feels lost and left behind, especially after the boy that she likes, Seiji, moves to Italy in hopes of becoming an apprentice. In many ways, these emotions parallel the state that Japan was left in after the war ended. Following the war, Japan’s national identity was shattered and the country was left behind as superpowers such as the US and the USSR underwent their own rapid industrialization. I interpret this as type of nostalgia, which writer Svetlana Boym defines as “a longing for a home that no longer exists or has never existed…a sentiment of loss and displacement.” This feeling of nostalgia is reinforced through the use of John Denver’s country song, “Take Me Home, Country Roads,” appearing at various moments throughout the movie. Not only is it a brilliant Western symbol, American country as a genre thrives off of themes of nostalgia, and I applaud its usage in Whisper of the Heart. In the opening, an English version performed by Olivia Newton-John is used. The wistful first line of the song: “Country Roads, take me home, to the place I belong,” is sung while the camera pans around a Japanese skyline. This discontinuity between aural and visual elements seem like they should be jarring, but instead it creates a warm and hospitable environment between the two. This melding establishes feelings of displacement, longing, and belonging that recur throughout the course of the film. 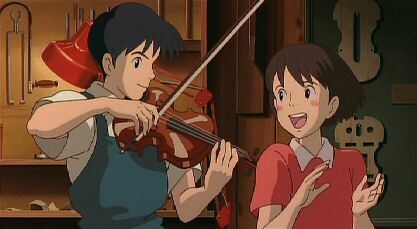 In the middle of the film, Shizuku sings her own rendition of the song in Japanese with Seiji, adding her own personality to it while still exuding the same emotion of uncertainty and yearning for a place to belong. By the end of the film, she is able to return “home,” when she discovers a love for writing novels, developing her own sense of belonging and uniqueness. In the end credits sequence a Japanese version is used, symbolizing the solidification of one’s own identity and purpose without having to rely on others. Like Shizuku (or perhaps vice-versa), Japan was able to find its own niche in terms of popular culture, rather than simply feeding off Western ideas of modernity. As a personal aside, I can attest to the power that music can have on nostalgia with this particular song as an example. Whenever I hear “Country Roads,” especially the Japanese version, I can remember everything about my life at the time when I first watched Whisper of the Heart. I can remember all of my new hobbies, my crush, riding in my friends car with the smell of fried chicken in the air. All of those memories become incredibly vivid, and to this day I think it’s the only song that I know all of the lyrics to (I even know the Japanese chorus). But, I digress. 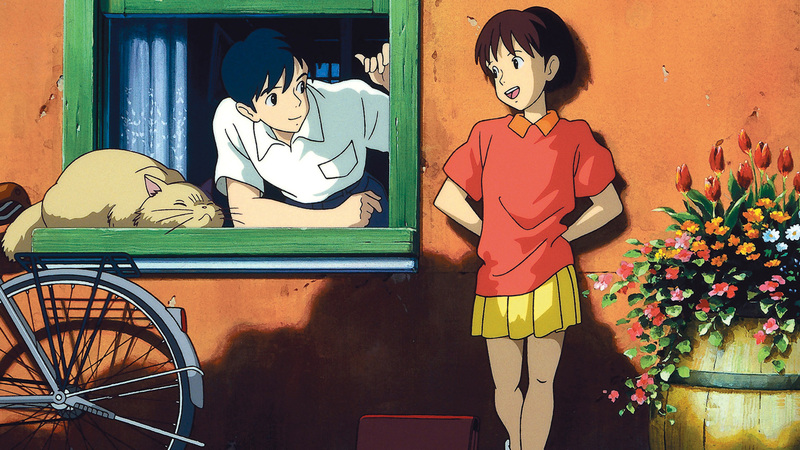 In a scene towards the very end of the movie, Seiji returns to Japan early in the morning and invites Shizuku to ride on his bike. They approach a steep hill and Seiji intends to pedal the both of them up it with his own two legs. However, Shizuku disdainfully refuses his attempt to flaunt his masculinity and jumps off the bike. She helps him by pushing the bike as he continues to pedal and says, “I’m no man’s burden. I want to be of use.” This is a remarkable scene because it displays Shizuku’s determination and personal growth since the beginning where she didn’t know what she wanted to do with her life at all. The use of an adolescent female protagonist, a recurring trend in many of his works, reflects Miyazaki’s support for the changing role of the female population in modern Japan. Due to the economic upturn following the war, the number of job opportunities increased, allowing more Japanese women to enter the workforce and become more independent. For a traditional country like Japan, this type of social progression is monumental. Women were no longer expected to be housekeepers and were allowed to become successful in their own right. Surely, they could still choose to become housekeepers, but the fact that they now had the opportunity to work provided huge strides towards equality. Join me next time, when I’ll talk about one of Miyzaki’s most famous films: Howl’s Moving Castle, and the themes of social pressures as well as generational influences. Svetlana Boym. “Taboo on Nostalgia?” in The Future of Nostalgia. (New York: Basic Books, 2001), XIII. Koichi Iwabuchi. “Postcolonial Desire for ‘Asia. '” in Popular Culture, Globalization and Japan, ed. Matthew Allen et al. (New York: Taylor & Francis Books, 2006), 22-23.